Tying the knot in NYC? This is the one for you! 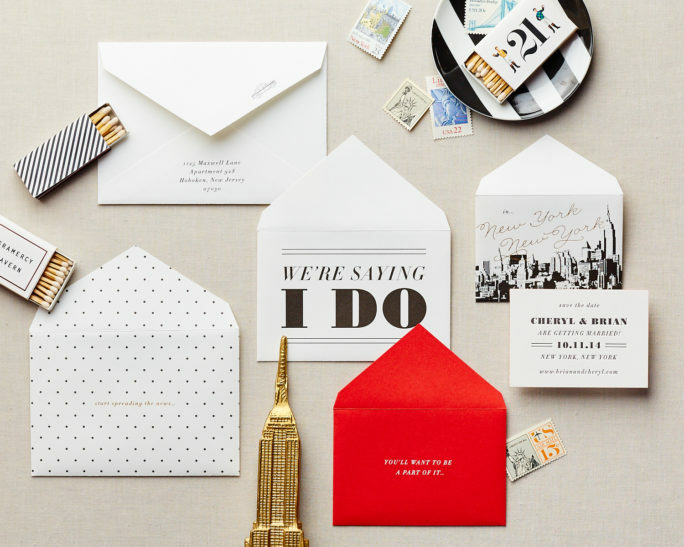 Our classic envelope series save the date will put your guests in a New York state of mind. Each mini envelope features clever copy, special to NYC, and one mini envelope makes a bold statement in Big Apple Red. Three flat printed and foil stamped interior envelopes. Envelopes are flat printed regardless of printing method you choose for insert card.